Snakes are a natural and integral component of the ecosystem. As predators, they are invaluable for their role in maintaining the balance of nature by helping to keep populations of their prey in check. Their prey consists of everything from earthworms to rabbits, and this includes other snakes. Snakes are especially important in the control of rodents. They also avoid extremely torrid conditions, confining their activity in hot climates to early morning, evenings, and night-time. How best can I avoid getting bitten by a venomous snake? The best defense against venomous snakes is avoidance. To avoid a particular animal, it is best to know what it looks like and where it is likely to be found. Snakes are often found under rocks, fallen limbs and in the leaf litter. They can also be hidden in tall grassy & brushy areas. Rodents are one of a snakes favorite meals, so avoid areas where mice and rats may be, such as trash, brush and rock piles, stacked lumber and stone walls fences. When outdoors, always look where you step. 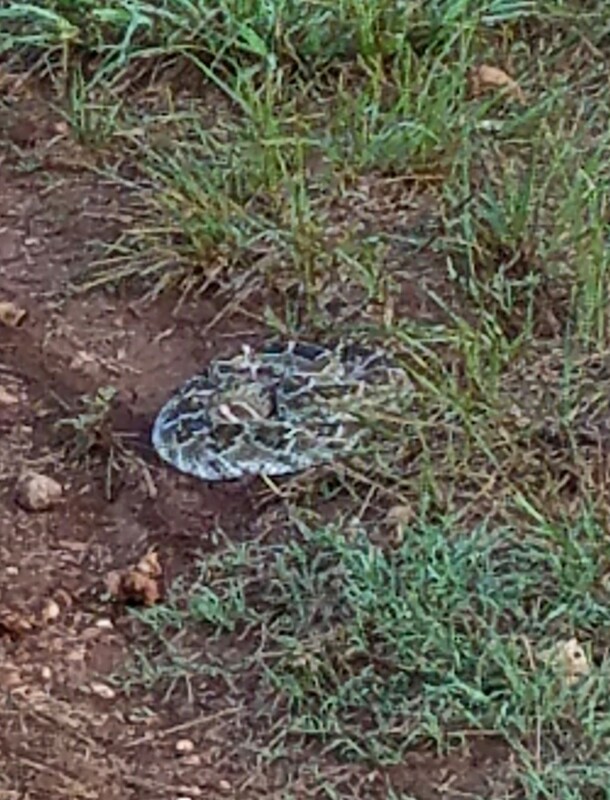 When you know you are going to be in snake territory, wear boots, thick jeans or chaps and gloves. Never reach under rocks or into holes or other blind crevices. This is definitely asking for trouble. If you are playing ball or frisbee and it lands far from you in tall grass, LOOK before you reach down to pick it up. This also goes for hunters who are retrieving their downed game. Look before you reach. Don’t remove or turn over stones and rocks with your bare hands. Be careful when climbing around rocks and watch where you sit. Always watch where you step on warm rocks, especially in spring. Basking on rocks is a popular activity among snakes as they warm themselves in the cool morning air. Be careful when stepping over or on fallen logs. Always pay attention to where you step and make sure you can see where you are placing your feet. The best rule of thumb is to watch where you put your hands and feet; don’t put them in places without looking and don’t put them in places where you can’t see. If you lift a stone or log or any object under which a venomous snake might be, first move it with a stick or hook. Don’t place your fingers under it. You can use your foot if you have thick leather boots. If you are walking in grass brush or cactus patches, stay in the cleared areas as much as possible. Remember rattlers are hard to see in their natural habitat as they are protectively colored. Rattlers are nocturnal much of the year. If you have to move about, use a flashlight to light your way and don’t go barefoot. Step on a log never over it. Carry a stick so that when you walk through tall grass and brush, you can beat the ground with the stick. This will warn the snake that you are in the area. Most snakes will try to escape from the vibrations. If you should see a snake remain still and slowly move away. Pit vipers strike at movement. When you just hear a rattlesnakes, but don’t see it, don’t move until you have ascertained which direction the sound is coming from. You don’t want to mistakenly move towards instead of away from the snake. In Texas we have an average of 2-3 deaths per year from snakebites, compared with 5 to 7 for insect bites and 8 for lightning. The closer the bite to the heart, the more dangerous it is. Children and the elderly are particularly vulnerable to the effects of snakebites. Because children are small and close to the ground, they are often bitten on the face and arms. Finally, the best approach to avoid getting bitten by a venomous snake is to learn to recognize the venomous snakes of your area. 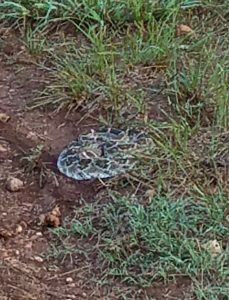 Avoid killing the harmless ones as these are competitors of the rattlers for food. If you take a trip away from your area, learn which venomous snakes occur there and what they look like. Finally, don’t let the fear of venomous snakes ruin your enjoyment of the out-of-doors. Poisonous snake bites are rare occurrences. Being careful, alert and knowledgeable is the best way to avoid any danger of being bitten.